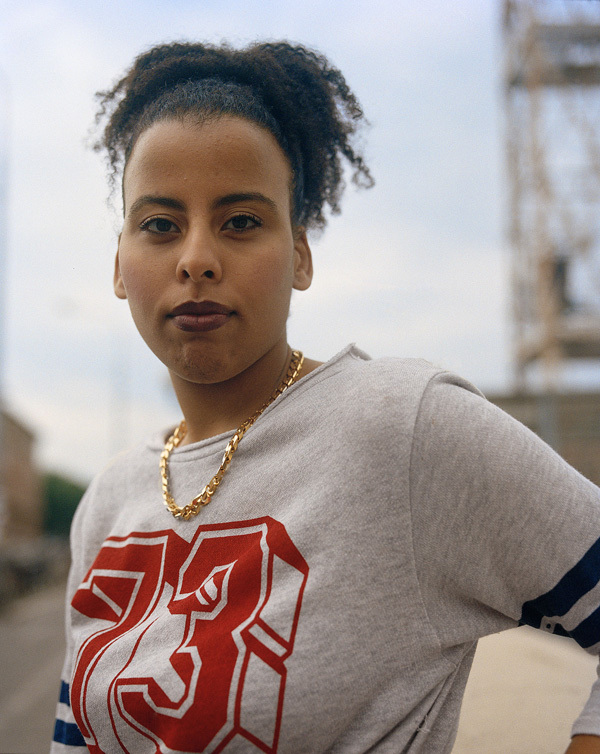 A photographic ethnography of second generation African-Italian immigrants by EAS artist Sydney Lowe. "I was drawn to photography, initially, as a means of documentation. I have always been acutely aware that my reality as an African American woman was not the one reflected in popular movies, in television and photography. Historically, black women have frequently been assigned stereotypical visual repertories around the world, which upon closer inspection do not even begin to touch upon their true dynamic complexity. When I was 18, I decided to make my own images, and therefore, my own definitions. I wanted to capture the faces of the women of color who existed so strongly in my world, but were practically unrecorded everywhere else. There is immense power in seeing someone who looks like you reflected in the pages of a magazine or on white museum walls—your existence as a worthy component of the human race is validated. This continues to be one of the main driving forces in much of my work: these women continue to be my muses. In the past few years my photographic narratives have expanded beyond American borders. 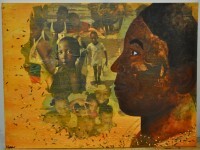 During my six months’ stay in Bologna, Italy in 2012, I began to formally consider blackness internationally. 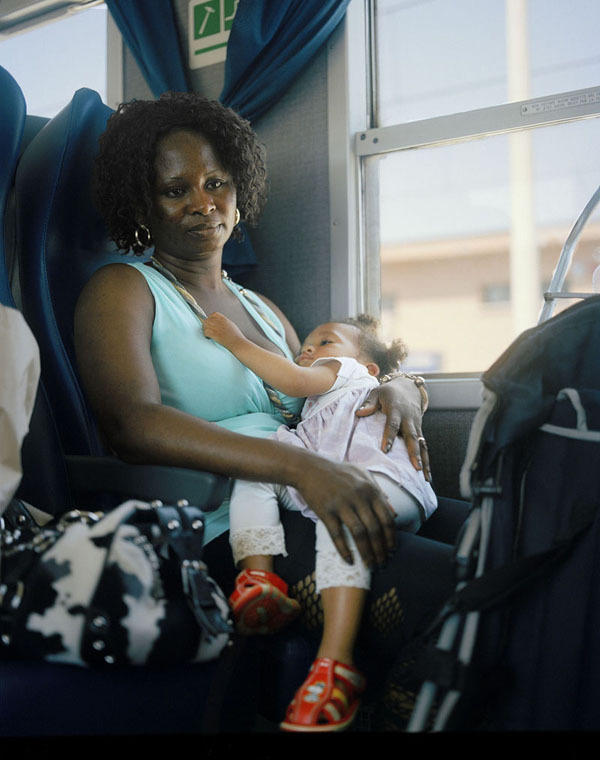 Especially in regards to the highly controversial influx of African immigrants to an overwhelmingly white Italy, I found myself fascinated with a community of second-generation African-Italian immigrant girls. 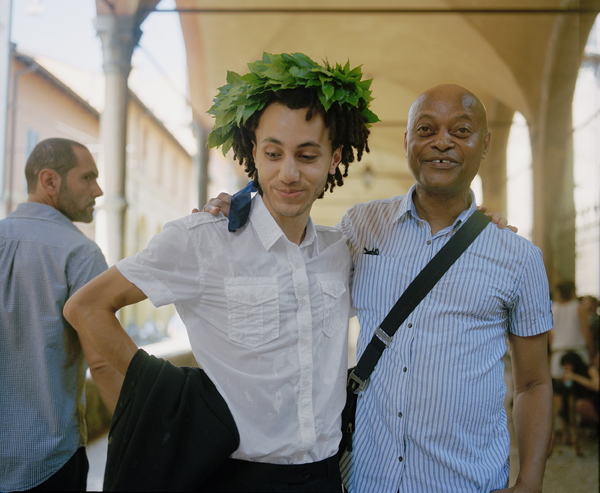 Their very existence as Black Italians challenges an outdated and changing national identity. This ongoing photographic project of mine is one which strives to bear witness to their beauty, their identity forming processes and truly unique coming of age experiences. My hope is that my project, based in visual ethnography, will provide powerful, honest and new lenses through which their strength, struggles and character shine." Sydney Lowe is a recent graduate of Wesleyan University and currently lives in Brooklyn, New York. 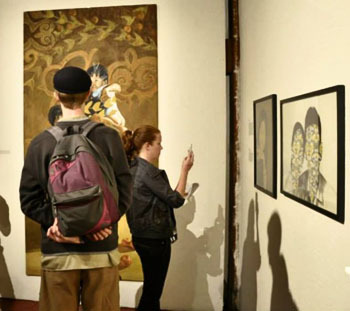 Emergent Art Space’s inaugural exhibit, last June in San Francisco, Crossing Borders, put the viewer both in direct physical contact with the art and with fellow viewers. As EAS grows and exhibitions continue, this opportunity for interpersonal interaction and dialogue about the art will become more regular. The social sciences help us understand these encounters. The responses are even more predictable in a context, that of the art world, often understood as elitist. When you or I are in a gallery, or a museum, these phenomena will motivate certain discourse and check other. Let’s consider how psychological and social phenomenacause discussions to go unspoken. Or, put more plainly, let’s consider how our feelings make us silent. This interests me because EAS provides an alternative social space to view the art—where the social pressures and motivations have a different effect on us. I, of course, am referring to the Internet. This enables, I think, a viewing of art that, at the immediate moment of exposure, is more private than what is available in the gallery. This is the critical moment because, I think, it is when our schematic approach crystallizes. Our framework for understanding the art is determined in this instance. What are the effects on the non-discourse, on the public silence, when we first consider the art in this alternate setting that manifests this alternate schematic approach? I have no answer, but I have a guess. Or rather, I have a hope—which probably exists only because I find the elitism and pretension of the art world super lame. When alone in front of the computer screen, our initial schemata for experiencing the art (again, the way we immediately consider the art) will constitute itself differently than when we view the art in a gallery or a museum, together with other people. A framework for understanding the art will thus manifest that mirrors our framework for understanding other things we see on the Internet. Of course, the Internet is also a social setting with its own experiential consequences, but it is perhaps also more welcoming than what is available in the art world. Think about how you react to a YouTube video, compared to how you and your friends react to a painting that hangs in a gallery. Think about what is available for you to react with. A more developed analysis would enumerate these psycho-social responses. Brevity precludes any decent attempt at justification, but I’m considering, among others: social identity theory, confirmation bias, and theories of social obedience. 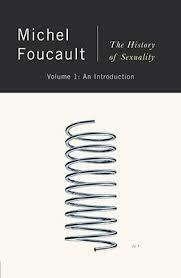 This line of argument is inspired by Michel Foucault’s The History of Sexuality. Jacob Canter is a Social Science student at Reed College, Portland, Oregon. In this piece he explores some of the differences between looking at art in person and looking at art on the Internet. What we see is always affected by the context in which we see it, by the way the “first impressions” become the framework through which we see. When we look at art in a gallery, or museum, Jacob’s claim, the social setting allows certain responses, and precludes others. When we look at art on the Internet, instead, no such social conditioning constrains our responses. The viewer generally knows little about what has gone into a work of art, and worldwide internet forums only exacerbate this problem. They thus critically evaluate with (almost certainly) a poor understanding of how the art has become what it is today. We interpret with an ignorant eye—it is our and the artist’s destiny to be out of sync. Yet some art embraces this opportunity for alternative approaches while other art resists, offering strikingly different experiences for the viewer. 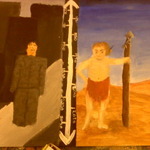 Two paintings from EAS will reveal what I mean. First, let’s look at Antonela’s “Open Door”—an abstract work that I think encourages myriad interpretations. For the artist, the painting depicts a man interrupting two women in an intimate (probably sexual) embrace, and after a moments hesitation they invite him forward. To articulate the struggle between (a) this neutral portrayal of (b) an inappropriate and intrusive scene, “Open Door” presents a series of binaries: muted orange contrasts dark blue; protruding limbs envelop tight, disappearing bodies; active brushstrokes make the left side of the frame stand out to the tempered, undifferentiated work on the right. For the artist, the painting depicts the visceral (i.e., desire) struggle with the socialized (i.e., norms), all from a disinterested perspective. However, there are rouge interpretations of “Open Door” that seem to me much more viable. Specifically, it is unclear why the intimate partners must be inviting the third figure forward. Couldn’t his intrusion be, in fact, intrusive, instead of welcomed? Why must the scene be read neutrally? Isn’t it even a good thing to look at this image with a more critical eye? To see the binaries as revealing a chasm between what is happening and what is appropriate? To see the protruding limbs and disappearing bodies as a sense of losing your rights, privacy, self? The interpretation I offer is radically different from Antonela’s and is based upon an alternative reading of only one aspect of the painting. The point I hope to make here, however, is that everything in this painting can be re-interpreted—that there is nothing about the painting that is not easily imagined as something entirely different than what Antonela proposed. Thus, to witness “Open Door” for the first time means to ask questions about the material conditions of the painting: “what is going on; what do I see; can I understand”. Gregor Henderson’s brilliant “Prisoner and Son” presents an utterly different experience, since it offers I think a clear and undeniable interpretation: a child sleeps in his parent’s arms, cherishing the warmth. He relies on her to survive—how could a child live alone in such an empty, desolate place?—but also provides his own sort of strength to the parent, whose right fist is clenched in determination, but whose left tenderly caresses the child’s forehead. It is not clear whether this is the mother or father—the veiled head and crooked posture hide any gender signifiers. This parent instead has no individual identity, becoming rather a representation of both prisoners in general and parents in general. A profound sense of sorrow for this small family—alone and solemn—is in contrast with an even greater realization that here we see two people who deeply care about each other. I challenge any who read this blog post to offer an alternative interpretation of “Prisoner and Son” that is both coherent and loyal to what the painting depicts. Henderson’s work simply does not allow for such re-interpretations to take place. Perhaps the painting is too literal; perhaps the scene is too vivid; perhaps there is just not enough occurring. Whatever the reason, the result is the same—namely, that when one first turns her gaze towards “Prisoner and Son”, there is no space for trying to reimagine what is on the canvas. Therefore, we’re left with an obvious question: when first viewing “Prisoner and Son”, what happens? Here is the moment when I think the experience of viewing Antonela’s work breaks from the experience of viewing Henderson’s. Let’s thus go through this slowly: seeing “Open Door” causes us to ask questions about the paintings material conditions. We need, first and foremost, to understand the scene, and our imagination does this work. Try now to understand what is going on in this painting, and then see if a radically different interpretation could also work. In “Prisoner and Son” this is not possible. The proper interpretation of the scene is undeniable, and thus any work we do when viewing this painting rather offers greater context to what is already available. We know what these two individuals are doing, but why? We know where these two individuals are, but how did it come about? We understand even some of the emotions these two individuals feel, but the tragedies, victories, and banal experiences that have led to these emotions at this very moment are what we create at the moment of viewing. Without a doubt, the answer I give will be very different than yours. Thus, to witness “Prisoner and Son” for the first time means to ask questions about the thematic conditions of the painting: “why is this the case; where did this come from; could it have been different”. I argued at the onset that the viewing experience of a painting like “Open Door” is strikingly different than the viewing experience of one like “Prisoner and Son”. This essay has argued that the reason is because these different paintings make the viewer—at the moment she first looks at the painting—ask different questions. 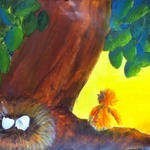 These vital, initial questions frame how you will understand this painting, as well as the relationship you have with it. They will inform any future encounters you have with the painting, and perhaps those of other paintings as well. EAS artist Einat Moglad worked with international young artists to initiate a collaborative, digital project. Each artist contributed to a single Photoshop file, producing a final work that displays each of the artist's styles. Scribble it Down is an experimental project featuring a new and unique collaborative effort between young artists working together although geographically distant. Scribble it Down fuses various elements of today's digital capabilities. Technological developments today are changing the ways people engage in dialogue, becoming essential for both information and social contact. The concept of sharing images and ideas, to gather people around mutual interests, has become relevant to every aspect of the contemporary age. The "global village" is now a reality. People find themselves closer to one another with little boundaries in communication and a common frame of mind (technology being the unifying paradigm). "Scribble it Down" merges digital communication trends with traditional art and creation processes. It creates an artistic dialogue via the digital media, connecting and fostering collaboration among artists. It gives an opportunity to ‘scribble down’ our ideas while remaining open minded and receptive to others’ input and contributions. It uses the strength of the group to grow and allow art to expand. The digital era is giving birth to new ways of creating. Computer programs, new file and communication formats, enhanced storage capabilities, and better visual detailing are expanding the visual. 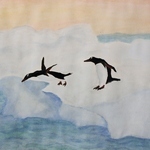 It is giving birth to a new type of artist, who takes advantage of these new tools for artistic expression. The presentation of this project is an invitation to the viewer to see artists embrace the freedom provided by the digital medium. It is an exploration into how the digital world, with its multitude of memes and imagery folklore, can find coherence and produce provoking works of art. Less than forty miles from Canyon Crest Academy, a high school in San Diego, California, is a large metal fence full of multiple meanings that separates San Diego and its Mexican neighbors. 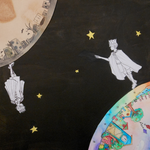 When Angela Jackson, the visual art teacher at CCA, came across EAS's open call for our first online show, she found the theme of “Crossing Borders” particularly relevant for the students in her Advanced Painting class. In addition to a geographic concept of a border, students approached the theme with a variety of interpretations ranging from migration to the subconscious mind. The diversity of their responses to Crossing Borders resulted in an impressive display of artistic technique and approach. Due to the unique nature of their submissions, EAS is featuring all of these high school students' work as a Class Project. We've included a few highlights below, but be sure to check out the Gallery to view the entire class's submissions. 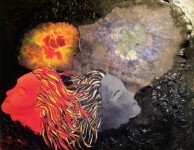 Rosa Brotherton, Contingency (2012) Mixed Media, 14" x 11"
"The brilliance of the human mind can journey to any realm. The greatest benefit of being human is not only the ability to dream, but also to recognize occurrences of dreams. In dreams we are able to venture wherever we choose, crossing whatever borders we see fit. I wanted to portray the idea that the mind can take a person to multiple realms, but it is circumstantial, relying on emotions and experiences." 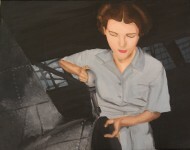 Megan Goyette, Woman at Work (2012) Acrylic, 14" x 11"
My piece depicts a woman in the 1940's who has begun working in a factory to take the place of the men whom went to fight overseas. I chose this because I find this to be an intriguing period in history. Women crossed many borders and joined the workforce, proving to society that women are a valuable source of labor. They opened doors to generations of women to come. This piece not only stands for the struggles women have with-gone throughout history to break away from their lack of rights and cross the borders of a male dominant society but also the constant battle against the all too prevalent depiction of women as sexual objects in the media today. The floating circles in this piece exemplify this sexual objectification of women as they mirror the contours of the depicted woman in this artwork. Audrey Gascho, Connection (2012) Mixed Media, 24" x 18"
"Crossing borders is an extremely complex, yet notably simple concept. However, it can be fairly incomprehensible to those who have not experienced it firsthand. Before I travelled to the Dominican Republic this summer, I was one of those people. My perception of “crossing a border” consisted of immersion into a new experience and entering into a different realm of culture. I was not entirely incorrect, but my concept lacked the genuine depth that crossing a border holds. Upon interacting with the Dominican people, this profoundness became clear as day to me; crossing borders is not just experiencing something physically in a new environment, but evolving into a neoteric mindset. This distinct transformation of perspective is where the concept grows inherently more complex, and only by connecting with other members of humanity can one can fully understand it. While I was on the trip, I was privileged to experience this emotional aspect by relating to the Dominican people despite barriers of language, culture, and lifestyle." Jennifer Fisher, Home (2012) Mixed Media, 24" x 11"
Ellis Island is an obvious landmark expressing freedom, or a change in an individual’s life. For instance, my great- great grandfather arrived in Ellis Island after a long journey he had in Poland. It was the gate to a new beginning and Ellis Island changed the lives of many. 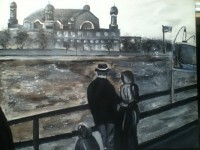 In my painting I decided to portray a couple and their child on a boat leading into New York. These people are not only crossing the border literally into a new country but also psychologically starting new beginnings with new futures. 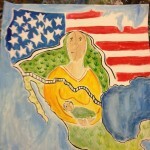 I chose to paint the Berlin Wall for the Crossing Borders project because it represents my family heritage. I became intrigued with the connections between past and present, as well as the role that history plays in shaping humanity. Hearing of the personal struggles that many people experienced in East Germany during the Cold War, I became inspired to create a piece of art expressing the hopes and dreams of those who lived on the East side of the border during an age of uncertainty and oppression. The Berlin Wall separated East and West Berlin for almost 30 years. East Berlin was under the Communist regime at the time, and many people in the East lost their lives attempting to escape to the free West. My image shows the graffiti that covered the West side of the Berlin Wall, where many people painted images of peace and liberty. Thus, hoping to bring an end to the dictatorship in East Germany. This piece represents what those hoping for freedom dreamed of. It depicts the slow demise of the Wall as the sun rises, bringing hope to all of those longing for freedom. really like who they are as a person. They don't need to change because it is untrue to the person they have become. 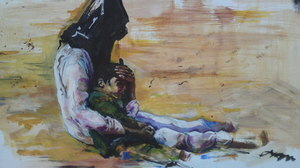 To show how some people refuse change, I created this painting to exagerate the emotion. The island is the boy's home. Being there defines him for who he really is and is more comfortable for him. But when given the option to see what else is out there, he refuses with great anger. By separating him from the rest of the world with a big wall of flames, he won't cross the border and will stay true to whom he really is." Steven Bell, DragonEye (2012) Acrylic, 14" x 11"
The eye is the key to a deeper, and truer bit of ourselves. This eye is partly gray scaled representing the deceptive shell that we as humans put forth to hide our true feelings and personalities away. The colored part is the emerging truth revealed by seeing, and understanding the deeper feelings of this being. This being is a dragon because I have a personal amazement with these mythical creatures. They are intelligent and capable of human emotions. I have loved them since I was little and they inspire me in most of my art whether or not they are the actual subject matter. This relates to crossing borders because the color represents the "crossing over" into the soul beyond the outward shell, or border. "This painting shows the idea of making life changes and doing unexpected things through an illustrative way and concept. Everyone knows the Little Old Lady as living in a shoe. Her move into a hat symbolizes her huge life change as she "crosses borders" into an unexpected realm. The idea that she is moving from a shoe to a hat also symbolizes moving up in life." 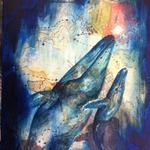 Angela Jackson is a mixed media contemporary artist who has taught visual art at Canyon Crest Academy for over six years. She has participated in many group shows in the United States. She lives and works in North County, San Diego. She believes that in many ways, her students are in the midst of their own border crossing, with many having one foot slipping out into the real world and one foot still entrenched in childhood. Canyon Crest Academy is a comprehensive public high school in the Carmel Valley area of San Diego. Founded with a strong belief in the arts, CCA is now in its ninth year and commits to providing positive, meaningful and rigorous learning experiences that promote the intellectual, social, physical and creative development of students. ENVISION, The Arts at Canyon Crest Academy, encompasses all of the Visual and Performing Arts (VPA) courses offered at Canyon Crest Academy. 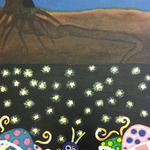 ENVISION is a unique arts program that utilizes working artists as instructors.